On July 20, 2018, PureTech Health plc (LSE: PRTC) (“PureTech Health”), a clinical-stage biopharmaceutical company developing novel medicines focused on the Brain-Immune-Gut (BIG) Axis, announced that it has entered into a multiyear collaboration with F. Hoffmann-La Roche Ltd and Hoffmann-La Roche Inc., to advance PureTech’s milk-derived exosome platform technology for the oral administration of Roche’s antisense oligonucleotide platform. Under the terms of the agreement, PureTech Health will receive up to $36 million, including upfront payments, research support, and early preclinical milestones. PureTech Health will be eligible to potentially receive development milestone payments of over $1 billion and additional sales milestones and royalties for an undisclosed number of products. PureTech’s milk exosome-based technology is uniquely designed to facilitate the oral administration of complex payloads such as nucleic acids, peptides, and small molecules. These exosomes are believed to traffic via lymphatic circulation and could potentially enable the targeting of immune cells in novel ways. Daphne Zohar, Co-founder and Chief Executive Officer of PureTech Health, said: “We are excited to accelerate the development of this promising technology from our internal lymphatic and immune cell trafficking programs. The expertise and resources that Roche is bringing to the collaboration will help us to potentially address one of the biggest challenges in oligonucleotide-based therapeutic development: oral administration of nucleic acids.” PureTech Health has been advancing internal research and development projects that focus on the Brain-Immune-Gut (BIG) Axis, with an emphasis on lymphatics and immune cell trafficking to modulate immunity in a tissue-specific manner. CellMax Life, enabling early cancer detection and management with affordable, non-invasive blood tests, announced on July 25, 2018 that six U.S. patents have been granted for the compny’s biomimetic platform CMx, which detects circulating tumor cells (CTCs). The patents cover the entire detection workflow, from the capture of very rare CTCs present at fewer than five cells per billion normal cells in early-stage cancer, to the processes ensuring their intact release and identification by means of advanced imaging techniques, allowing CellMax Life to detect CTCs in up to 90 percent of samples. In addition to these six U.S. patents, there are also 16 global patents issued and several additional patents pending in the company’s growing portfolio. “In the past, finding CTCs was not possible in pre-cancer and early-stage cancer, as the cells numbered too few to accurately identify in the bloodstream,” said Shai Friedland, MD, Chief of Gastroenterology & Hepatology, VA Palo Alto Health Care System from the Stanford University School of Medicine. “The CellMax CMx platform’s ability to achieve high sensitivity for pre-cancerous colorectal lesions, while remaining cost-effective and convenient is notable. The CMx platform positions CellMax Life’s CTC test to potentially become a standard option for the 100 million Americans over the age of 45 who are eligible for colorectal cancer screening.” The CellMax CMx platform, has its origins in research conducted on biomimetic smart materials and interfaces by Professor Ying Chih Chang at Stanford University (Professor & Research Fellow, Genomics Research Center, Academia Sinica, Taiwan, Adjunct Professor Stanford University). For the first time in the U.S., a blood test will be available to help doctors determine if people who've experienced a blow to the head could have a traumatic brain injury such as brain bleeding or bruising. Until this point, physicians have relied on subjective markers - mainly patient-reported symptoms such as headaches, nausea, or light sensitivity - to make an educated "guess" on which individuals have brain trauma and require a head CT scan. Particularly among athletes who may hide symptoms in order to keep playing, a subjective assessment is not always reliable. The new test provides an objective indicator of injury that can potentially be obtained quickly and easily in busy emergency departments. In February 2018, the U.S. Food and Drug Administration approved the test as part of a fast-track program to get breakthrough technologies to patients more quickly. Called the Banyan Brain Trauma Indicator®, the test aids in the evaluation of patients with a suspected traumatic brain injury or concussion, also known as a mild traumatic brain injury. On July 24, 2018, the major study that led to approval of the test was published in The Lancet Neurology. The clinical trial included close to 2,000 individuals presenting with a head injury to 22 emergency departments in the U.S. and Europe. Banyan Biomarkers, Inc., the company that developed the test, is working with its commercial partners to make the test available in hospitals and emergency departments. The article is titled “Serum GFAP and UCH-L1 for Prediction of Absence of Intracranial Injuries on Head CT (ALERT-TBI): A Multicentre Observational Study.” "Many concussion patients don't seek medical care for their injury, a decision due in part to the perception that emergency departments have nothing to offer in terms of diagnosis," said lead study author Jeffrey J. Multiple sclerosis is an autoimmune disease that attacks and destroys a structure known as the "myelin sheath,” whose integrity is indispensable for the brain and spinal cord to function properly. Current treatment of multiple sclerosis is based on modulating the activity of the immune system or preventing its cells from accessing the central nervous system and damaging it. These therapies are effective in the early phases of the disease, but they do not prevent its advance and the progressive functional deterioration. During the progressive phase of the disease, it is the microglial cells in the brain that are the main cause of the chronic inflammation responsible for the neurological deterioration. These microglial cells are the brain's sentries and react when faced with any damage or infection in it. This reaction, which is in principle beneficial, becomes harmful when it is prolonged over time, leading to chronic inflammation, and aggravates the disease and encourages its progression. In the new work published online on April 7, 2018 in EMBO Molecular Medicine, it was possible to identify a receptor known as P2X4 present in the microglial cells that increases their anti-inflammatory potential in order to reduce the damage in multiple sclerosis and, above all, encourage the body's own repair responses. This experimental development was conducted using animal models of this disease, thanks to which it was possible to discover that the drugs that activate this receptor improve the symptoms during the chronic phase of the disease when furthering the repair of the nervous tissue. 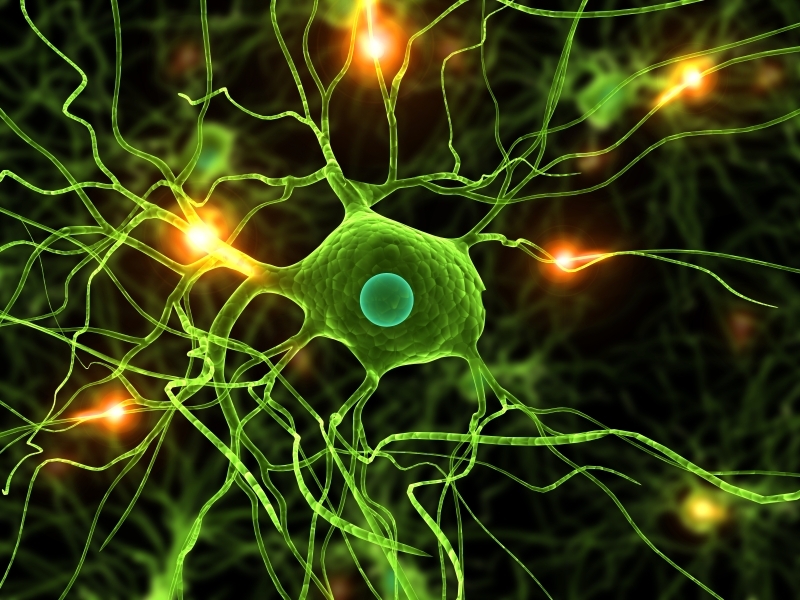 The open-access article is titled “P2X4 Receptor Controls Microglia Activation and Favors Remyelination in Autoimmune Encephalitis.” As Dr.
(BY RACHEL DERITA, PhD Candidate,Thomas Jefferson University, Department of Cancer Biology) At Thomas Jefferson University in Philadelphia, researchers have recently shown that in mice, a CAR-T cell therapy successfully eliminated primary colorectal tumors and prevented metastatic growth. This is a breakthrough for the potential use of chimeric antigen receptor (CAR) - T cell therapy in the treatment of solid tumors. The University of Pennsylvania (UPenn) has previously made clinical advances recently with its use of CAR-T cell therapy in non-solid tumors, but there is still a great need for new therapeutic options involving the immune system in solid tumors. CAR-T cell therapy involves taking a patient’s own immune cells, then engineering them to target tumor cells specifically, and then infusing them back into the patient. In the current study, led by Dr. Adam Snook, PhD, Assistant Professor, T cells were engineered to target an antigen called GUCY2C. This protein had been previously identified as a biomarker and potential therapeutic target in colorectal cancer by the laboratory of Scott Waldman, PhD, MD, Chair of the Department of Pharmacology & Experimental Therapeutics at Jefferson. Dr. Snook also mentions that other high-mortality cancers such as esophageal and pancreatic cancer also express GUCY2C. This means that this pre-clinical study has implications for treating up to 25% of patients who would otherwise die from their cancer. In the Jefferson study, researchers used a “human-ready” mouse model of colorectal cancer to test CAR-T cell therapy targeted against GUCY2C. None of the mice experienced side effects and the therapy successfully fought the tumor over the duration of 75 days. The average survival time for the control group was only 30 days. Researchers at the University of Texas (UT) Southwestern Medical Center, reporting in the July 6, 2018 issue of the Journal of Biological Chemistry, have uncovered details of how cells take in corrupted proteins that can turn normal proteins corrupt, leading to neurodegenerative diseases such as Alzheimer's and Parkinson's. The new article is titled “Specific Glycosaminoglycan Chain Length and Sulfation Patterns Are Required for Cell Uptake of Tau Versus Α-Synuclein and -Amyloid Aggregates.” Understanding the molecular details of how these proteins spread from cell to cell could lead to therapies to halt disease progression. Alzheimer's and Parkinson's are associated with particular proteins in the brain misfolding, aggregating, and inducing normal proteins to misfold and aggregate. Dr. Marc Diamond's group at UT Southwestern discovered in 2013 that to enter new cells and propagate misfolding, the disease-associated proteins tau, alpha-synuclein, and amyloid-beta must bind to a type of sugar-protein molecule called heparan sulfate proteoglycan (HSPG) on the cell's surface. This binding triggers the cell to bring the corrupted protein inside. In the new study, the group sought to understand more about how this process worked. "The question was, how specific is this (process)? Or is it not specific at all?" asked Dr. Barbara Stopschinski, the physician and researcher in Dr. Diamond's lab who oversaw the new work. What were the details of the chemical communication between HSPG and tau that triggered tau's entry into the cells? And was this process different for alpha-synuclein (associated with Parkinson's disease), amyloid-beta, and tau (both associated with Alzheimer's disease)? Researchers at the Carlos III National Center for Cardiovascular Research (CNIC) in Madrid, Spain have provided valuable information about the defense mechanisms of the immune system in early learning to respond to pathogens such as viruses or bacteria. The data from this research, published online on July 9, 2018 in Nature Communications, contribute to the understanding of cellular processes that begin in the first moments and explain how the different cellular components of the immune system communicate to give an effective response to pathogens. The CNIC researchers have determined that the mitochondrial DNA contained in certain nanovesicles causes a state of alert in the receptor cells that allows the activation of the antiviral genetic program. 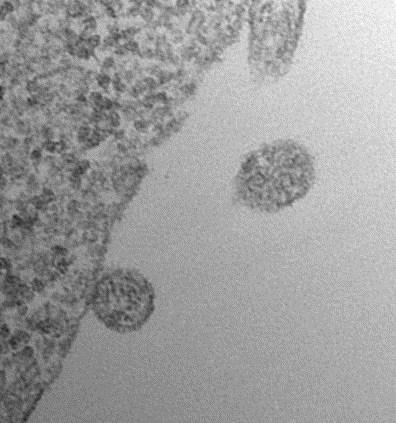 These nanovesicles, known as exosomes, are produced by T lymphocytes and captured by dendritic cells via intercellular contacts. 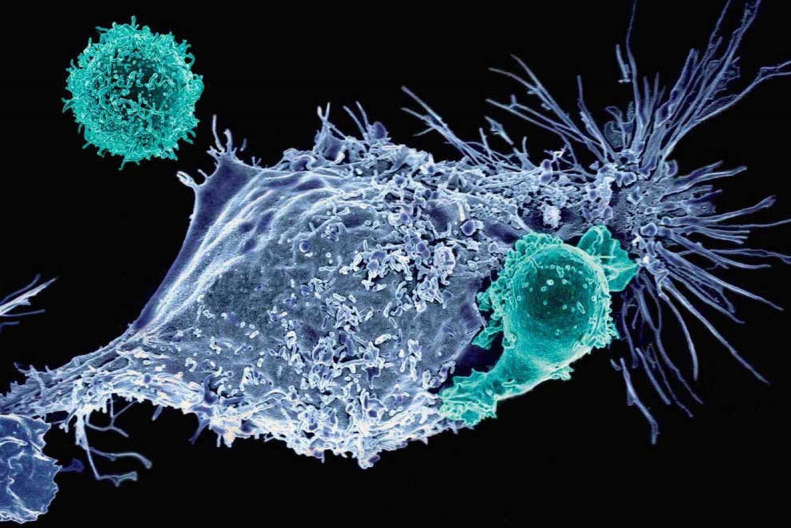 The immune response against pathogens requires the specific interaction between T lymphocytes and antigen-presenting cells, especially dendritic cells, a process known as immune synapses. During this process, the researchers explain, intercellular information is exchanged both by receptor connections and their ligands, which exist on the cell surface, and by the transfer of exosomes. Until now, the activation routes in the T cells after the immune synapse had been studied; however, both the identity of the signals received and their functional effects on the dendritic cells had received less attention. The laboratory of Professor Francisco Sánchez-Madrid, principal investigator of the Intercellular Communication Group of the CNIC, Head of the Hospital la Princesa, and Professor of Immunology of the Autonomous University of Madrid, had previously described the ability of T cells to transfer exosomes to the dendritic cells during the immune synapse. Understanding sleep has become increasingly important in modern society, where chronic loss of sleep has become rampant and pervasive. As evidence mounts for a correlation between lack of sleep and negative health effects, the core function of sleep remains a mystery. But in a new study published on July 12, 2018 in the open-access journal PLOS Biology, Dr. Vanessa Hill, Dr. Mimi Shirasu-Hiza, and colleagues at Columbia University, New York, found that short-sleeping fruit fly mutants shared the common defect of sensitivity to acute oxidative stress, and that sleep supports antioxidant processes. Understanding this ancient bi-directional relationship between sleep and oxidative stress in the humble fruit fly could provide much-needed insight into modern human diseases such as sleep disorders and neurodegenerative diseases. The article is titled “A Bidirectional Relationship Between Sleep and Oxidative Stress in Drosophila.” Why do we sleep? During sleep, animals are vulnerable, immobile, and less responsive to their environments; they are unable to forage for food, to mate, or to run from predators. Despite the cost of sleep behavior, almost all animals sleep, suggesting that sleep fulfills an essential and evolutionarily conserved function from humans to fruit flies. The researchers reasoned that if sleep is required for a core function of health, animals that sleep significantly less than usual should all share a defect in that core function. For this study, they used a diverse group of short-sleeping Drosophila (fruit fly) mutants. They found that these short-sleeping mutants do indeed share a common defect: they are all sensitive to acute oxidative stress. Oxidative stress results from excess free radicals that can damage cells and lead to organ dysfunction. In cancer cells, genetic errors wreak havoc. Misspelled genes, as well as structural variations -- larger-scale rearrangements of DNA that can encompass large chunks of chromosomes -- disturb carefully balanced mechanisms that have evolved to regulate cell growth. Genes that are normally silent are massively activated and mutant proteins are formed. These and other disruptions cause a plethora of problems that cause cells to grow without restraint, cancer's most infamous hallmark. On June 28, 2018, scientists at Cold Spring Harbor Laboratory (CSHL) published online in Genome Research one of the most detailed maps ever made of structural variations in a cancer cell's genome. The map reveals about 20,000 structural variations, few of which have ever been noted due to technological limitations in a long-popular method of genome sequencing. The article is titled “Complex Rearrangements and Oncogene Amplifications Revealed by Long-Read DNA and RNA Sequencing of a Breast Cancer Cell Line.” The team, led by sequencing experts Dr. Michael C. Schatz and Dr. W. Richard McCombie, read genomes of the cancer cells with so-called long-read sequencing technology from Pacific Biosciences. This technology reads much lengthier segments of DNA than older short-read technology. When the results are interpreted with two sophisticated software packages recently published by the team, two advantages are evident: long-read sequencing is richer in terms of both information and context. It can, for instance, make better sense of repetitive stretches of DNA letters - which pervade the genome - in part by seeing them within a physically larger context. Among patients with cutaneous melanoma who had melanoma brain metastases (MBM), first-line treatment with a checkpoint inhibitor was associated with a 1.4-fold increase in median overall survival, according to results from a national cohort. These results were published online on July 12, 2018 in Cancer Immunology Research. 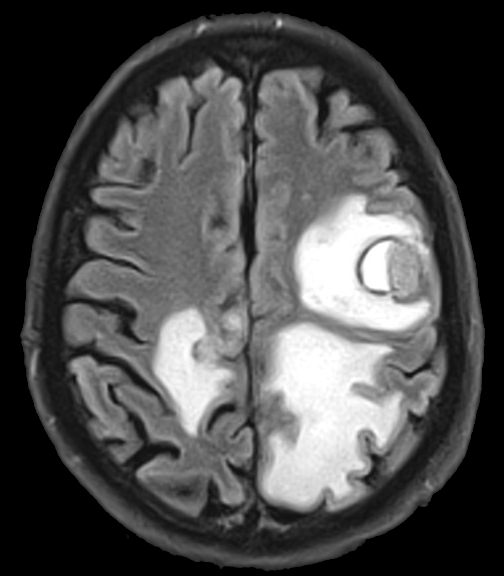 The article is titled “Improved Risk-Adjusted Survival for Melanoma Brain Metastases in the Era of Checkpoint Blockade Immunotherapies: Results from a National Cohort.” The first author of the study is J. Bryan Iorgulescu, MD, postdoctoral fellow in the Department of Pathology at Brigham and Women's Hospital/Harvard Medical School and Department of Medical Oncology at the Dana-Farber Cancer Institute. Senior authors are Timothy Smith, MD, PhD, MPH, Director of the Computational Neuroscience Outcomes Center at the Department of Neurosurgery at Brigham and Women's Hospital/Harvard Medical School; and mentor to Dr. Iorgulescu, and David A. Reardon, MD, Clinical Director of the Center for Neuro-Oncology at the Dana-Farber Cancer Institute and Professor of Medicine at Harvard Medical School. "Checkpoint blockade immunotherapies have revolutionized how we care for patients with advanced melanoma, leading to long-lasting treatment responses in many patients," said Dr. Iorgulescu. "However, many of the early clinical trials of checkpoint blockade immunotherapies included few melanoma patients with brain metastases - despite their high incidence - and so the survival benefits of these exciting therapies remained unclear for this substantial subset of patients." Dr. Iorgulescu and colleagues evaluated data collected from the National Cancer Database (NCDB), which includes information for approximately 70 percent of newly diagnosed patients with cancer in the United States.